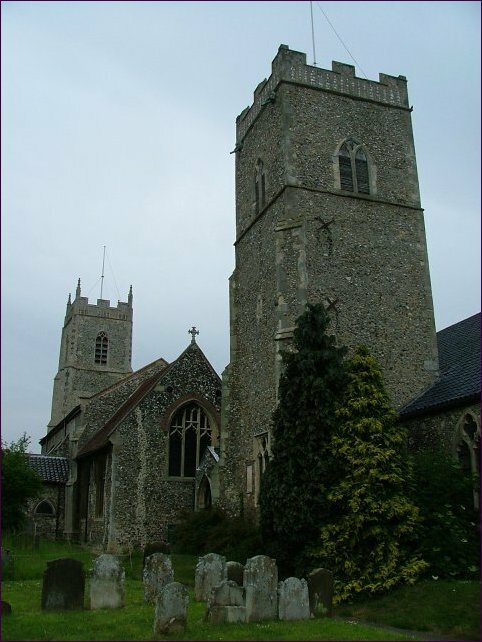 Whitwell's pretty pinnacled tower is the most prominent of the two in the churchyard, overlooking as it does Reepham market place. 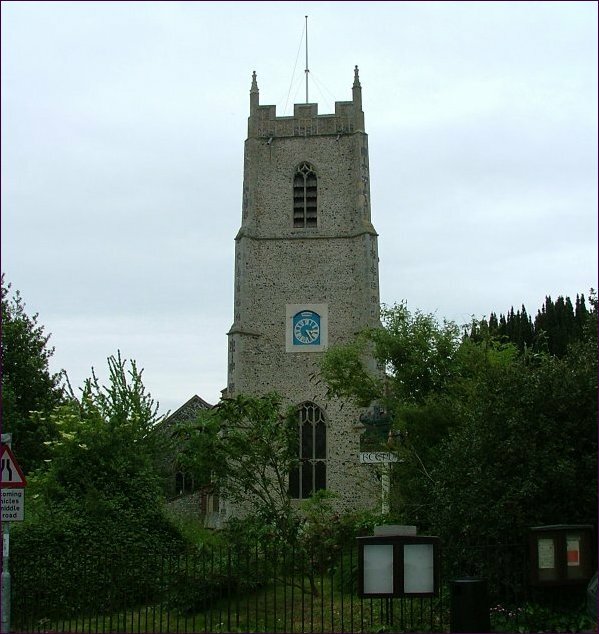 Because of this, it is the one that people tend to think of as 'the church', although in fact it has been redundant for a quarter of a century, and is used as a parish hall. 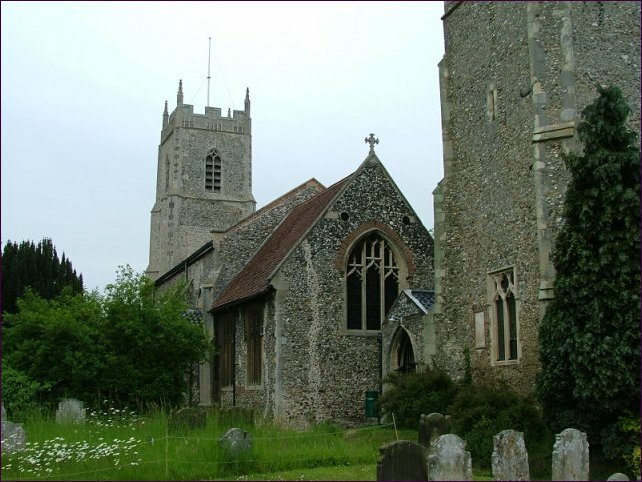 This is a most convenient arrangement, and saves Reepham parish from that increasingly common practice of building facilities in the churchyard (for which, read toilets and kitchen, both of which have been fitted in the former Whitwell church). 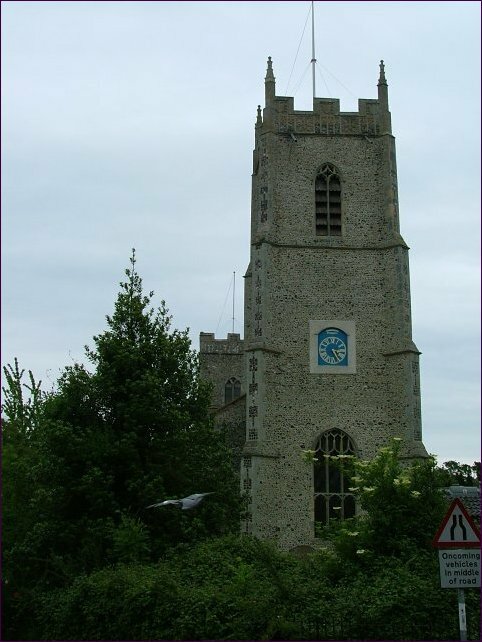 The lovely tower retains its eight bells; Reepham church has just two, and so when the peals are heard over this part of Norfolk it is Whitwell's bells that are being rung, not Reepham's. An access corridor leads from the south-west corner of St Mary, but this is kept locked apart from during services. St Michael is the prettiest of the two surviving churches, very much a typical, small rural parish church, without aisles or clerestory but with pleasing elaborations and decorations from the later middle ages. The Victorians made a good job of patching it up. The handsome tower is offset nicely by the splendid clock that overlooks the market place. It was inevitable that St Michael would find the role that now it has. There are positive uses of redundancy.